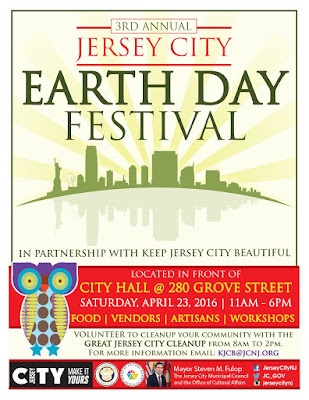 It's a busy week in Jersey City! Three restaurants are having their official ribbon-cutting ceremony this week. To celebrate their two newest restaurant partnerships, locally based delivery service FastBoy Delivery is offering delivery discounts through 4/28. The days have been getting longer and the temperatures have been slowly creeping up which means only one thing: it's time to break out the rose. Tomorrow, Third & Vine is doing just that. Hudson Kitchen is looking for food vendors for the 4th Annual Riverview Jazz Festival on Saturday, June 11th. Congratulations to Ahri's Kitchen on their one year anniversary. To celebrate, they're offering a dollar off every item until 4/27 and will be having their ribbon cutting on 4/28 with free seaweed soup and a gift certificate with every purchase. As part of their ongoing article series highlighting food in New Jersey, Saveur recently explored Jersey City's Filipino food. Bone In Food is moving their kitchen back to Jersey City this week. Because of the move, they are only offering provisions this week and no prepared meals, but they'll have them ready again in time for next week's deliveries. 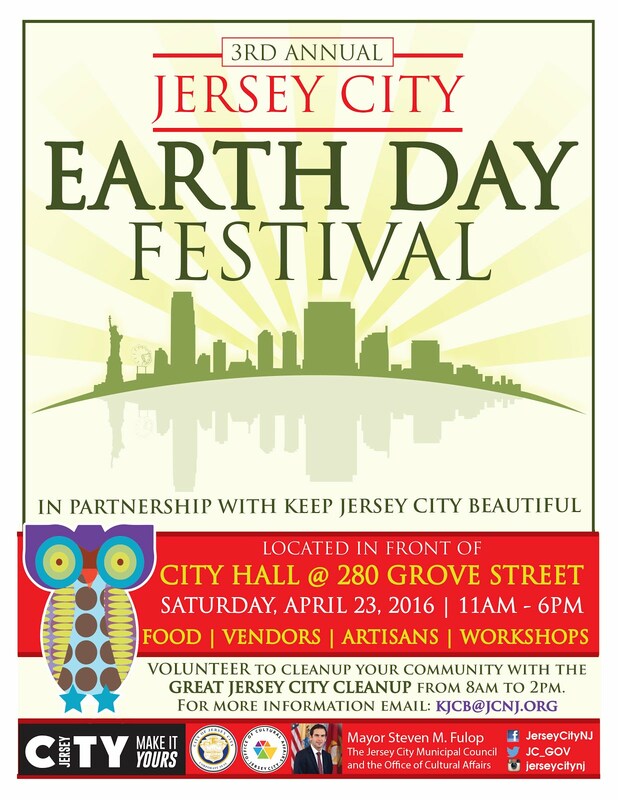 This Saturday, join Jersey City in celebrating Earth Day with different festivals around town. Passover begins this Friday and Cocoa Bakery is stocking their shelves in preparation. Barcade Celebrates 5 Years in Jersey City! 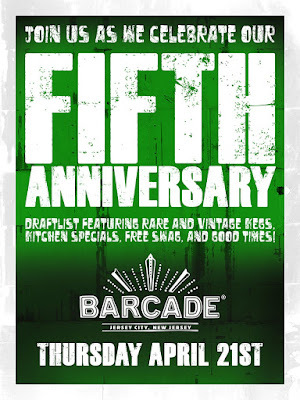 Barcade is celebrating their 5th anniversary today! Modern Banh, a new delivery-only food venture is having their early launch and "soft open" today. Congratulations to Milk Sugar Love, Satis Bistro, White Star and more for their mention on Thrillist. Third & Vine has introduced a new agave-based cocktail menu. The ribbon-cutting for Harry St. Coffee is this Thursday, 4/21, at 11am. Congratulations to Choc-O-Pain for their mention in NJ Monthly. New restaurant Martha's is scheduled to open this Saturday! Congratulations to FastBoy Delivery on celebrating their second anniversary! 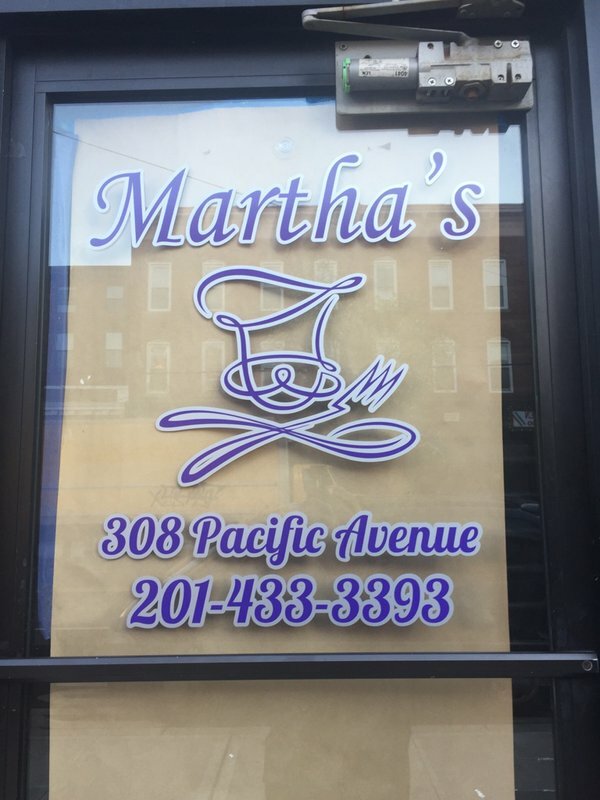 Hoboken's popular Antique Bakery is coming to Jersey City. This Tuesday, join See Spot Rescued at The Archer for their 4th Annual Hair of the Dog fundraiser. Entry is free but they'll have raffle tickets and a silent auction. Riverview Farmer's Market has announced their vendor line-up including an ongoing rotation of food trucks. Baonanas is now available for pick-up at Banyan Cafe. Milk Sugar Love - Now as an Ice Cream Truck! Milk Sugar Love has announced they're planning on expanding with a specialty ice cream truck! The Chopping Block food truck, which started in Jersey City about two years ago and used to serve sandwiches and salads, is under new ownership. Noodlefan USA, a local casual Thai/Asian group of restaurants, is opening at 2814 JFK Boulevard, right by Journal Square. They're planning on beginning with a soft open today After running into some technical issues, they have had to delay the soft opening, but hope to be open within the next week or so. The restaurant will be open 7 days a week from 11am-10pm. Congratulations to Baonanas for joining Smorgasburg and their feature on Thrillist. Madame Claude and Mana Wine are joining up for a new wine class: Discover the Wines of South America for $65/person. There will be 7 wines to try along with small plates from Madame Claude's. The Historic Paulus Hook Association is hosting their 8th annual All-You-Can-Eat Pancake Breakfast on Sunday, April 10th from 9am-noon. Surf City has announced they'll open for the season on Friday, May 13th. It's the first day of April which, despite the temperatures still being low for a while, means we're getting close to market season and outdoor events! Spring and summer are often a whirlwind of activity in Jersey City so here are a few dates to book in your calendar now.